October 31, 2015  Tonight, Starz debuts Ash vs Evil Dead, a horror comedy series that continues the story from the cult hit Evil Dead films. 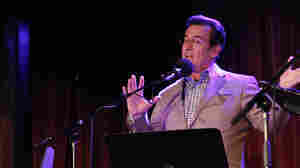 NPR's Eric Deggans talks to stars Bruce Campbell and Lucy Lawless. October 30, 2015  FXX cable network is airing a week-long marathon of every episode of The Simpsons annual Halloween show, "Treehouse of Horror." It will culminate in a full day marathon of all 25 "Treehouse of Horror" episodes. October 30, 2015  We're taking a break this week while we pull off a live show, so we're replaying one of our favorite episodes — one that touches on Empire and the variety (or lack thereof) in public radio voices. 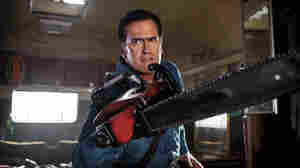 October 28, 2015  Bruce Campbell thinks "it's about dog-gone time" that horror is mainstreaming━and so do his fans. October 28, 2015  Despite the popularity of streaming services, DVD box sets continue to be released, and embraced, by serious fans and collectors. TV critic David Bianculli details four recent releases he treasures. 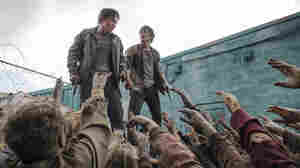 October 26, 2015  The popular zombie show has always been willing to bump off any character at any time — but critic Eric Deggans says a recent death (if it really happened) will have to be handled carefully. October 26, 2015  In its first superhero series of the 21st century, CBS is building Supergirl around characters traditionally seen as sidekicks. NPR offers a peek at the new show. October 26, 2015  NPR's Becky Sullivan was on Jeopardy! Friday, and her incorrect answer to Final Jeopardy went viral. October 26, 2015  In the new series, Melissa Benoist's Supergirl is overshadowed by her boss, played by Calista Flockhart. 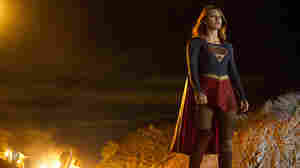 David Bianculli asks: "Shouldn't the most interesting character in Supergirl be ... Supergirl?" October 26, 2015  For three seasons, fans have flocked to Hulu for East Los High. The teen soap follows its characters through the tumult of adolescence and uses a secret weapon to deliver life lessons along the way. Would 'SNL' Have Donald Trump As Host If It Had Latino Cast Members? October 25, 2015  NPR's TV critic Eric Deggans says a more diverse cast might have made the show think twice about a hosting gig for the presidential candidate after his comments about Mexican immigrants. October 25, 2015  Could the rumor be true: Is Netflix reviving Gilmore Girls? NPR's Rachel Martin turns to the hosts of the Gilmore Guys podcast to find out what fans want — and if the cast can pull it off. 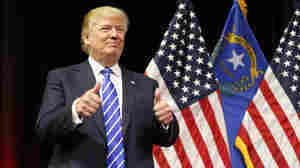 October 24, 2015  Donald Trump is slated to host Saturday Night Live on Nov. 7, which could put local stations in a tough spot, trying to balance candidates' air time. Meanwhile, Latino groups are condemning the move. 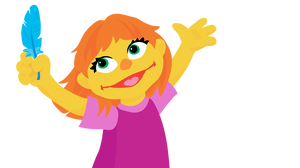 October 22, 2015  Sesame Street unveiled a new character, Julia, who has autism. The online-only narrative is part of a new initiative to help children understand the condition and to be more tolerant of it.